« Merry, happy ho, ho, ho! I was too busy cooking and enjoying our friends and cats – and eating of course – to take very many pics on Christmas Day. We did a beautiful turkey and so many delicious dishes. One friend brought rum, another fresh home-made eggnog and another pickled carrots and beets, plus wine galore. 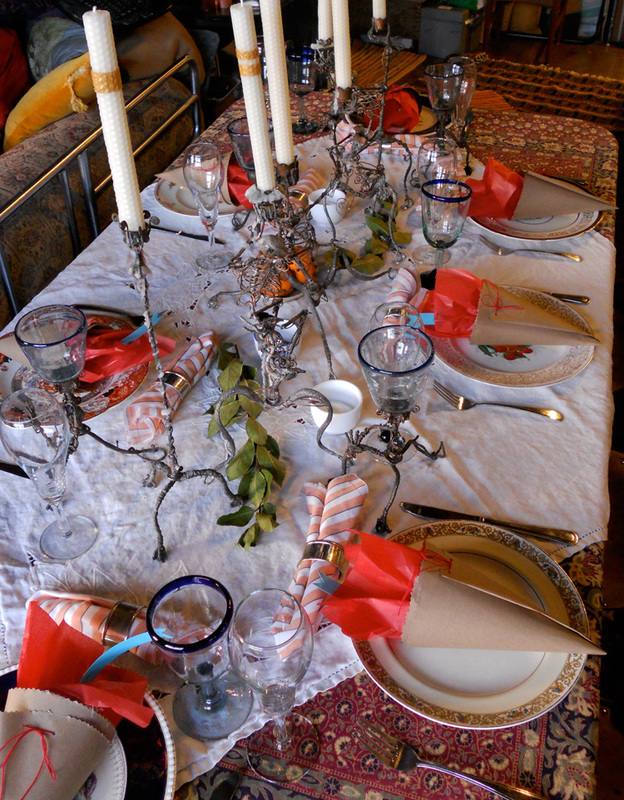 We totally cleared off GJ’s workspace and transformed it into a dining table, with his beautiful candle sticks and wine glasses, mismatched vintage plates and fragrant beeswax candles, orange pomanders and branches of bay. A perfect, peaceful and joyous day! The only thing missing was snow! 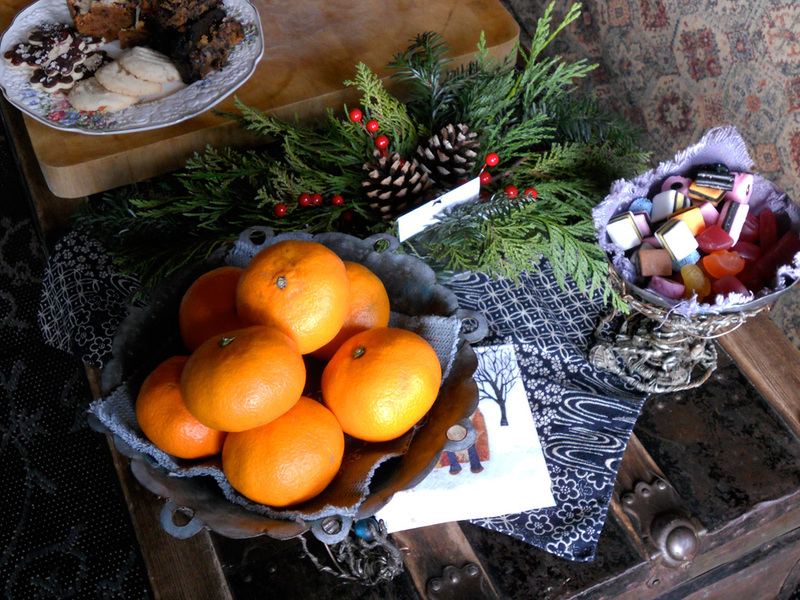 A gift of a green centrepiece, my baking, juicy oranges and English candies sent by my sister from her recent trip to London!